COOK bacon in large skillet over medium-high heat until crisp. With slotted spoon, transfer bacon to paper towels to drain. Coarsely chop bacon and set aside. REMOVE all but 1 tablespooon of bacon fat from skillet, reserving for another use. Add leeks or onions and garlic to skillet, and cook, stirring, until softened, about 2 minutes. ADD brown sugar, vinegar, bourbon, honey and mustard to skillet. Bring mixture to boil, then reduce heat and simmer until thick, stirring occasionally, about 5 minutes. Stir in reserved bacon. PLACE bacon-leek mixture in bowl of food processor; pulse until very finely chopped and fairly smooth. Store in refrigerator for up to 2 weeks. 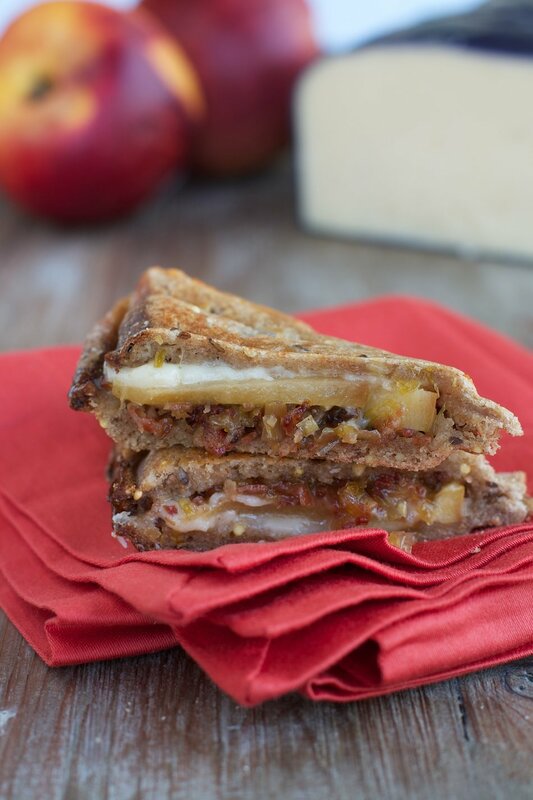 Try with our Nectarine & Bacon Jam Grilled Cheese.